As Houston and The Woodlands are coming to terms with the mass devastation that Hurricane Harvey caused, community members are coming together like never before to lend a helping hand to those in need. If you are able to help out, here are some ways you can make a difference. A word of caution about donating money to online charities or via Facebook and Twitter links – confirm the legitimacy of these sites before you enter your bank or credit card information. 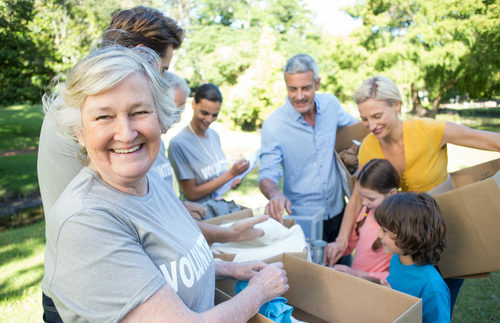 Reputable charities have infrastructure and processes in place to ensure your money is distributed where it is most needed, while some smaller organizations, while legitimate, might not be able to direct your funds as precisely. o Outlets at Conroe, 1111 League Line Rd, Conroe, TX 77303 9 a.m. to 5 p.m.
o Spring First Assembly of God, 1851 Spring Cypress Road, Spring, 10 a.m. to 5 p.m.
o The Woodlands Township, 2801 Technology Forest, The Woodlands, 9 a.m. to 5 p.m.